Lots of online training tools are available to help with transition. Annual lecture event leaves attendees wanting to learn more. Snow is in the forecast for September! Learn at the conference and enjoy exhibits of some of the latest equipment and technologies for the snow and ice management industry. THE LECTURE EVENT IS RUNNING AS SCHEDULED DESPITE THE WEATHER. DRIVE SAFE! Join your peers for education, networking and lunch! 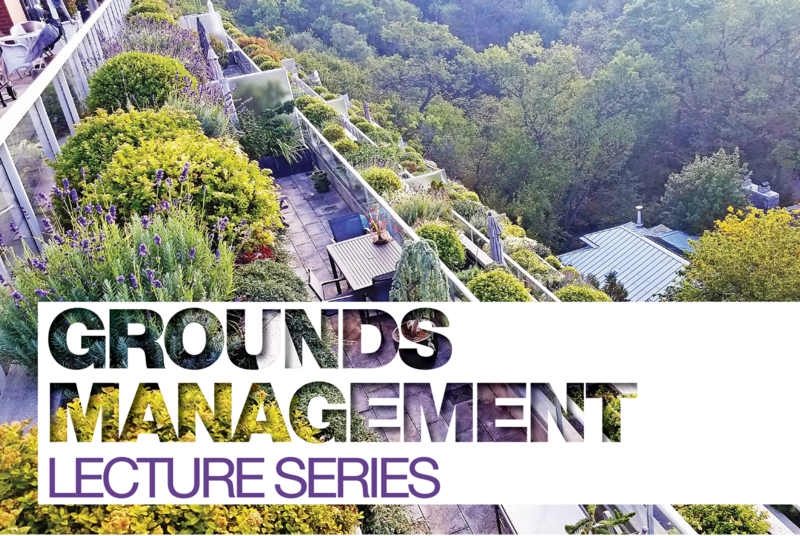 This annual Lecture Series is a gathering of Grounds Management professionals. Enjoy interesting and informative sessions related to the profession, networking and lunch with your peers. Includes sessions, lunch and exhibits. We will be showing the ease of maintenance, cost of maintenance and the cost of not doing maintenance. We have over 30 years of industry experience to bring to this session. An engaging presentation on current plant health issues, how to diagnose them and how to manage and prevent them for healthier landscapes. Overview of handheld battery powered equipment and how we have adopted and implemented into our fleet. Commercial vehicle safety and Crime Prevention.